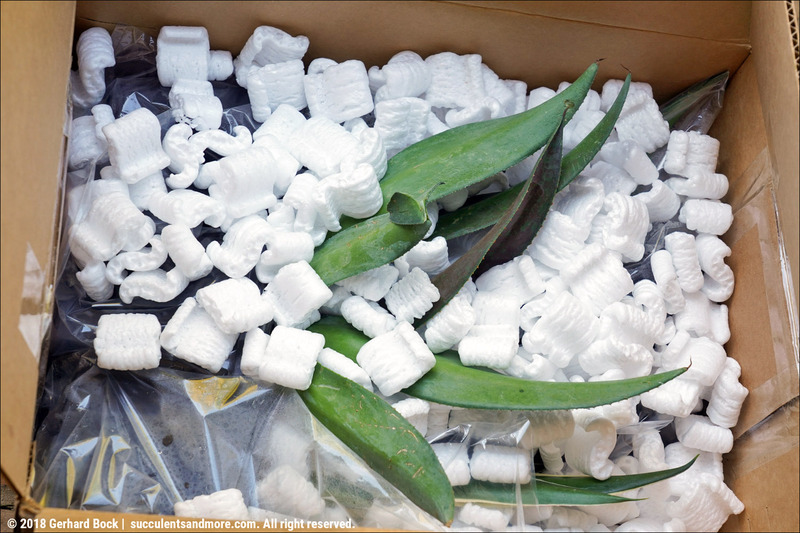 The plants in box 1 came in plastic nursery containers, the ones in box 2 were in a tray and needed to be potted up. 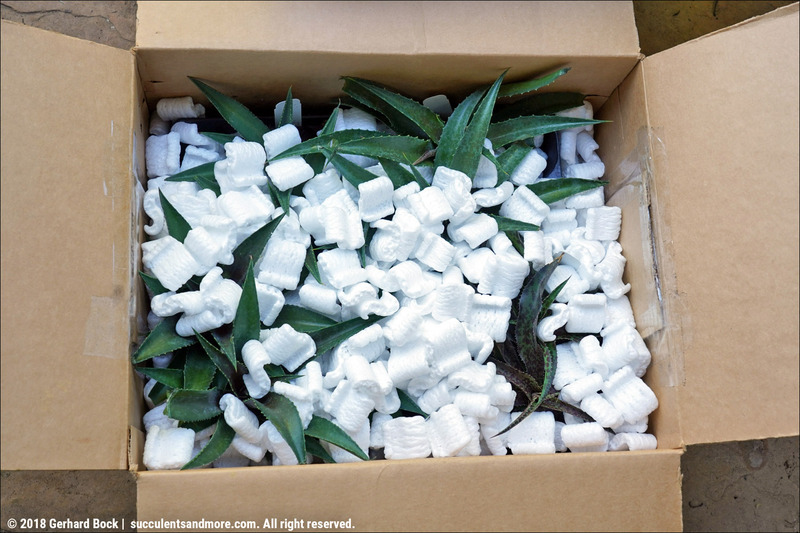 Below is more detailed information about my new plants. The photos are used with permission from Hans Hansen at Walters Gardens, © 2018. They show what mature specimens look like. It's easy to get excited, isn't it? ×Hansara 'Jumping Jack's takes Hans Hansen's hybridization work one step further. ×Mangave is a bigeneric hybrid, combining two genera: Agave and Manfreda. 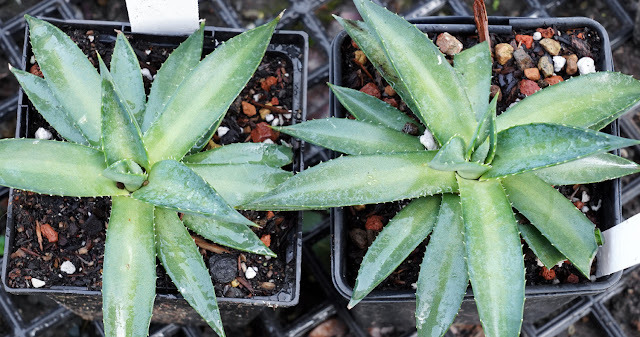 ×Hansara, named after Hans, is the first-ever trigeneric hybrid in this succulent family, combining the genes of three closely related genera: Agave, Manfreda, and Polianthes (aka tuberose). Hans crossed Agave pablocarrilloi, Agave macroacantha, Manfreda maculosa, Polianthes tuberosa, and Polianthes howardii. Who knows how he did it—maybe he did go to Hogwarts School of Witchcraft and Wizardry after all? While tuberoses are known for their intoxicating fragrance, 'Jumping Jacks' didn't inherit that particularly trait. It does have pretty yellow flowers, though. While most agaves are monocarpic (i.e. they die after flowering), manfredas and tuberoses are polycarpic (i.e. they flower without dying). I wonder what 'Jumping Jacks' will do? 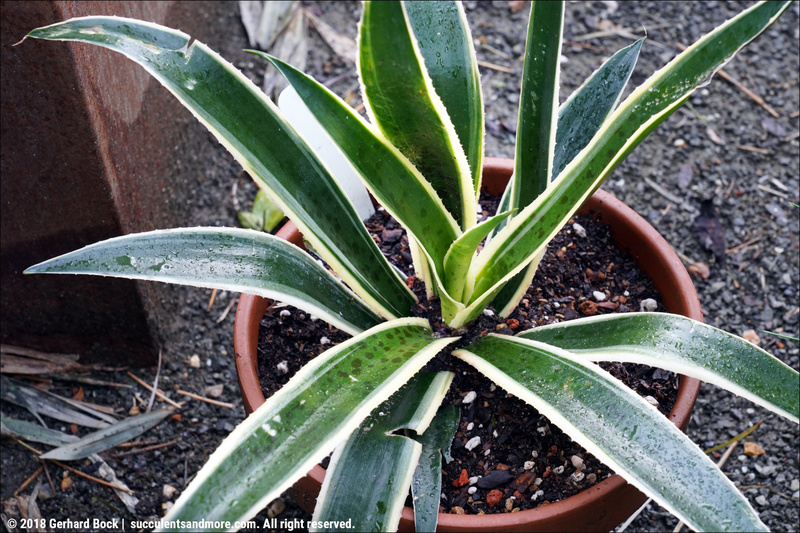 A mature ×Hansara 'Jumping Jacks' is about 14" tall and 27" wide. 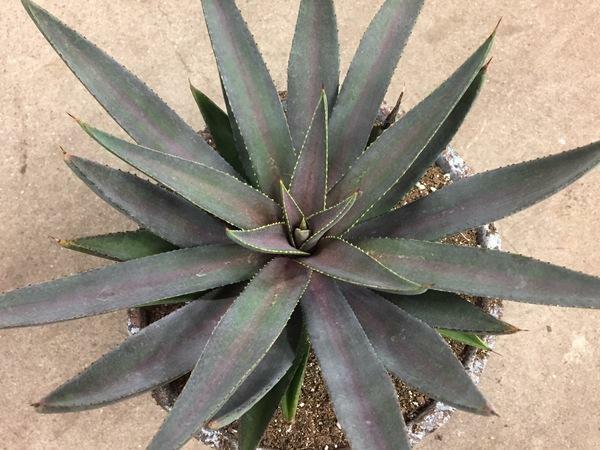 ×Mangave 'Desert Dawn' is a cross involving Agave macroacantha, Agave nizandensis, and a purple-spotted Manfreda. 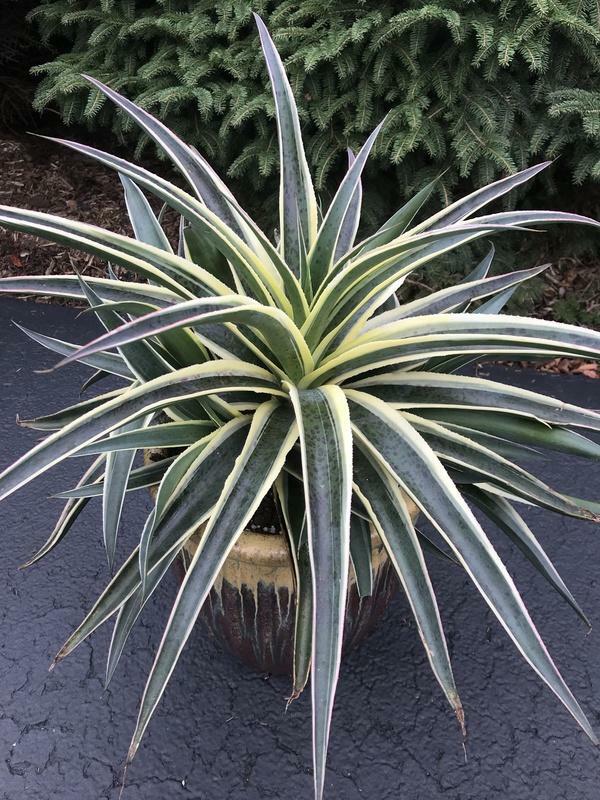 This is a smaller hybrid, growing to about 9" in height and 17" in width. The colors are bit more muted, just like dawn as opposed to sunrise. If ×Mangave 'Desert Dawn' isn't flashy enough for you, 'Desert Dragon' might be your thing. Plant Delights Nursery describes it as a "drug-induced hallucination of a giant spider." If you don't like spiders, don't worry; 'Desert Dragon' doesn't run or leap. At least not during the daytime. ×Mangave 'Femme Fatale' is all attitude but little bite. 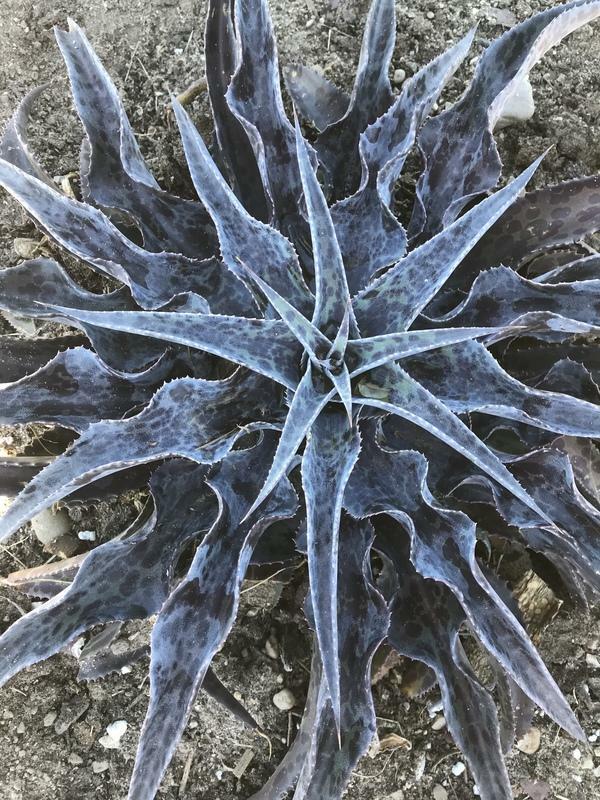 This hybrid of Agave macroacantha and a few Mexican Manfreda species has a layer of frosty white over purple spots against a blue background. Size is 9" (H) × 24" (W). ×Mangave 'Frosted Elegance' is one of my favorites among Hans' 2019 mangave introductions. 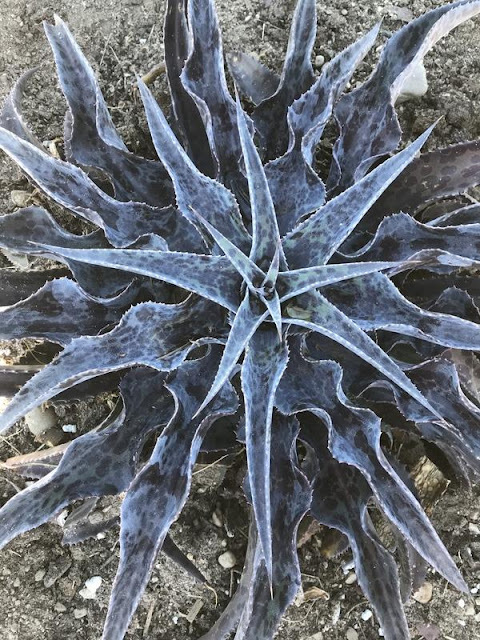 It has the same parentage as 'Desert Dawn' (Agave macroacantha, Agave nizandensis, and a purple-spotted Manfreda) but with a completely different coloration: silver-blue leaves with a lighter central stripe. It's on the smaller side, 6" (H) × 12" (W). ×Mangave 'Mission to Mars' was actually released in 2018. 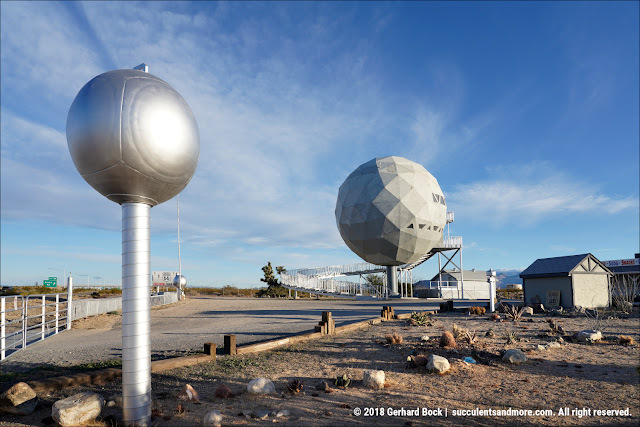 It's one of the largest, most vigorous, and most vibrantly colored of Hans' recent introductions. 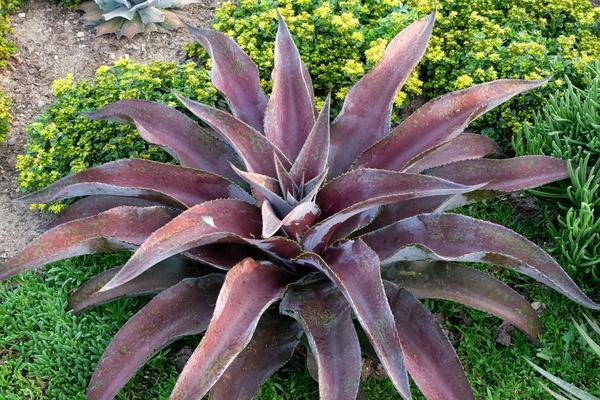 It combines the genes of Agave shawii, Agave × pseudoferox and a few manfredas and grows to 2" (H) × 48" (W). 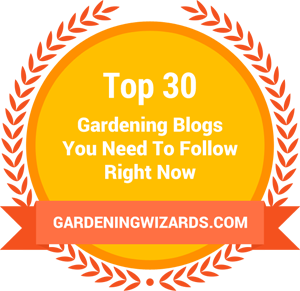 Plant Delights speculates it might be hardy to zone 8a and possibly 7b. That would be great news, considering how many mangaves are zone 9 and above. ×Mangave 'Shadow Waltz' combines the genes of Agave parryi, Agave nizandensis, and an unspecified Manfreda. 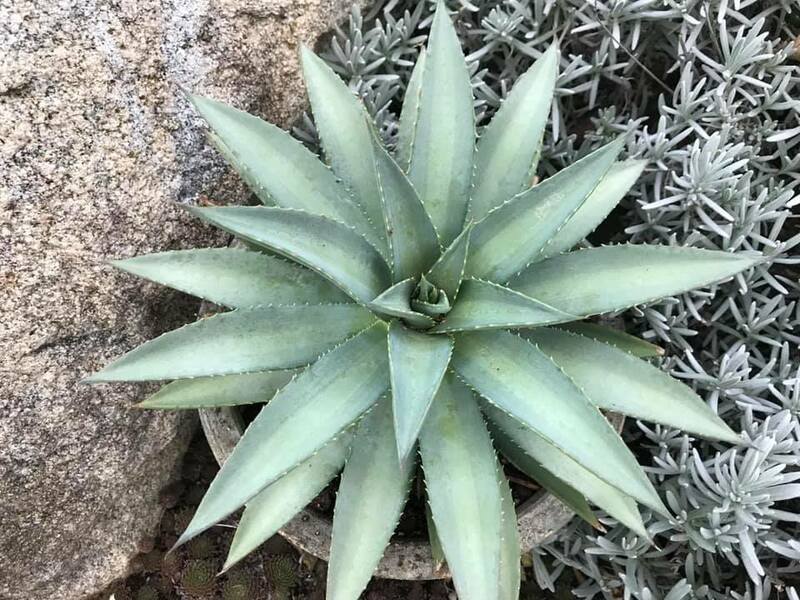 To me, it resembles Agave nizandensis more than any other of Hans' nizandensis-based mangaves. In my eyes, the overall look is understated and refined. 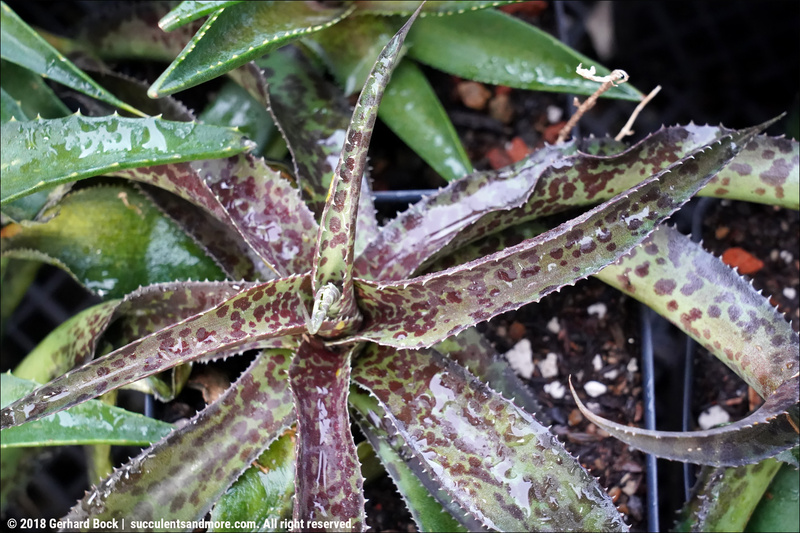 Plant Delights, never at a loss for words, compares it to a "spiny blue squid after rigor mortis sets in" (this is just one example why I love reading the Plant Delights catalog). Height is about 8", width maybe twice that. 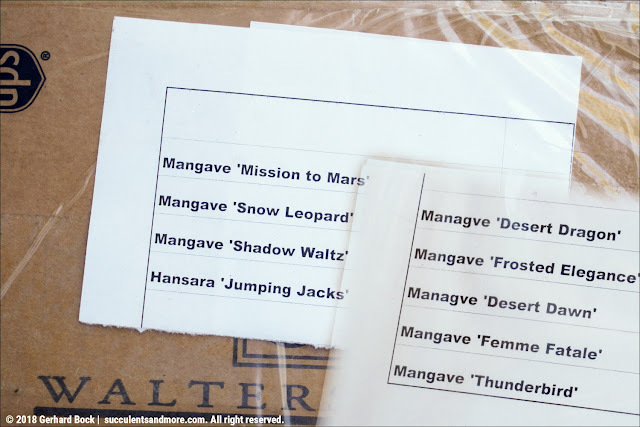 ×Mangave 'Snow Leopard' is another sport of ×Mangave 'Jaguar'. 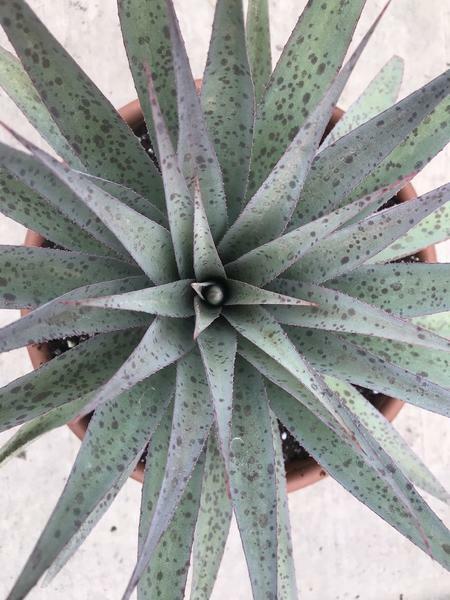 It has green leaves with purple spots and a white border. 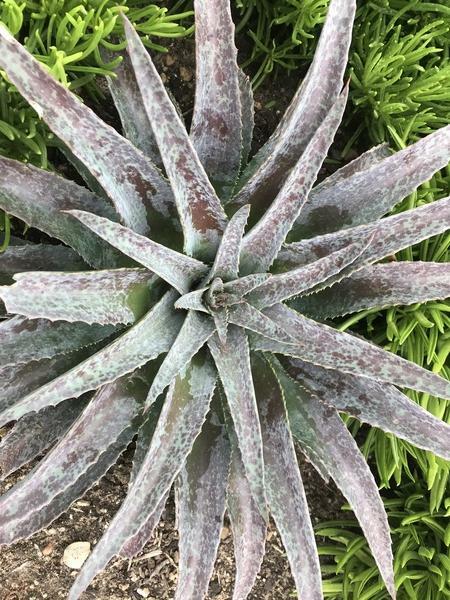 ×Mangave 'Jaguar', a hybrid between an unidentified agave and Manfreda guttata, has also produced several other sports that are equally attractive: 'Kaleidoscope' (green leaves, creamy margin, red dots overlaying the leaves, especially in full sun), 'Carnival' (the same variegation as 'Kaleidoscope' but reversed), and 'Artic Fox' (olive-green leaves, creamy white band down the middle, purple spots). ×Mangave 'Snow Leopard' grows to 18" tall × 24" wide. ×Mangave 'Thunderbird', a cross between Agave marmorata and two Manfreda species, is a true stunner. The spotting is so dense that the leaves appear to be a solid purplish red. Size is 8" (H) × 12" (W). It fits right in with the superficially similar but much larger 'Red Wing' that was released in 2018. Walters Gardens is one of the largest wholesale growers of perennials in the country and you'll find their plants in nurseries all over the U.S. Having said that, I've heard that Walters Gardens' mangaves are hard to find in some part of the country; Plant Delights is the best mail-order source because they have most mangaves Hans has ever created. 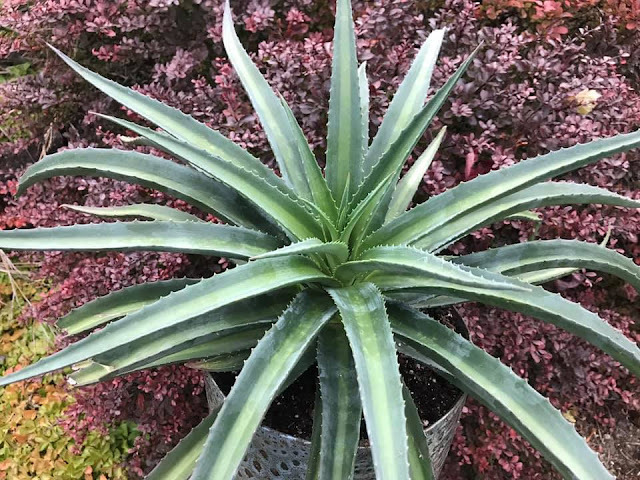 And finally a word on pronunciation: I realize that one person's to-MAH-to is another person's to-MAY-to, but the -gave part in "mangave" is pronounced the same way as in "agave." In other words, it's man-GAH-vay, not MAN-gave. Imaging there's an accent on the "e" ("Mangavé") might make it easier to remember. That's what Walters Gardens did on a recent mangave poster that you can see on their Mad About Mangave Facebook page. Oh, wow, how amazing! I was just drooling over many of these online. I hope you plan to show us follow up pictures... Where do you plan to put them all? I was wondering the same as Renee, where will you plant all of these? Also yes, please do an unboxing video sometime...or maybe an "unloading the truck" video after you return home from Hortlandia. You are so lucky (deservedly so of course)! That Thunderbolt is a knockout. Looking forward to seeing where they end up. Some Mangaves are cool, but so many look too much alike to me. I think I will start getting excited when I can buy them at my local nursery. I've considered buying from Plant Delights, but not if I have to spend an extra $40 to ship a 4-inch pot of a tiny baby. They are all lovely, tho Mission to Mars might be the most dramatic to my eye. I love reading of the crosses involved. I have a little nizandensis x isthmensis cross so find its use in many of these mangaves intriguing. It seems you've been identified as a Mangave influencer, Gerhard! I can't wait until some of these end up in general circulation. 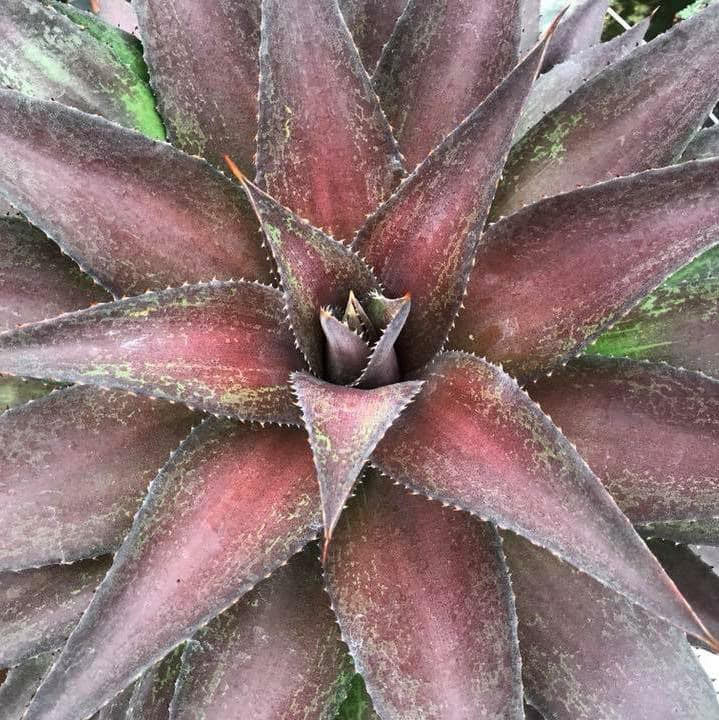 Mangave 'Bloodspot' is pretty much the only cultivar I've seen for sale locally and, as Alison mentioned, the mail order sources are VERY pricey. My favorite is 'Frosted Elegance'. And you got two of them! Score. Thank you, mystery mangave benefactor. 'Snow Leopard' is pretty fabulous, too. What fun. Before today I had never heard of Mangaves. My interest in piqued, especially by the Desert Dragon. You're a Mangave Influencer indeed! Not something I've seen in sunny Queensland. Thanks for sharing. How are your previous received Mangaves doing? Still unsure as to where to plant mine. Morning sun/afternoon shade, I think you said. 'Jumping Jacks' is my favorite of all of those. Very nice! Oh my, what a bounty. I especially love Snow Leopard and Frosted Elegance. 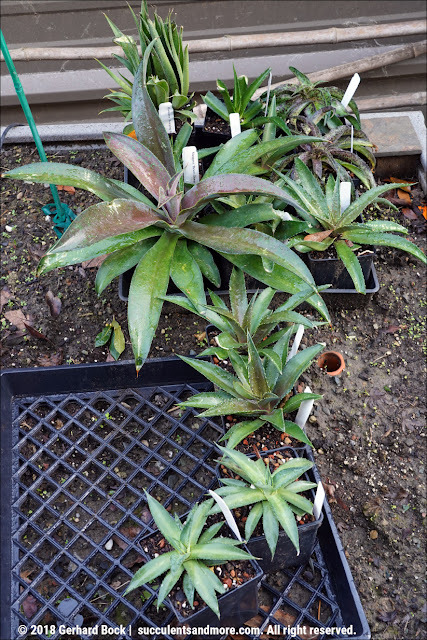 Maybe UC Davis will have some of these at their spring plant sale -they are still the best source I've found anywhere for buying Mangaves.They had a couple varieties at Succulent Gardens when I was there in December , but they were cultivars I already had.